Online banking or known as 'Internet Banking' by the common man is a secure and fraud-proof way to conduct financial transactions over a website by their retail or virtual bank, primarily. To ensure security, the normal 'single password authentication' method is not used unlike most of the shopping sites. Instead a two way methodology is adopted, including the PIN/TAN system, and the digital signatures method. This is done to secure every transaction from the two most common online attacks- phishing and pharming. There can be other methods too through which the login information of the trader can be stolen. Thus, it becomes all the more necessary for online banking to ensure maximum safety of the finances. Investment of one's hard earned money and assets has always been a delicate issue which needs to be dealt with utmost concern and care. Going by the numerous examples in history, one can clearly observe that for anyone to reach pinnacles of success, a great knowledge base and experience play a very important role. Unfortunately, not all people have had the chance to take a plunge into the foreign exchange markets full time, so as to claim to be the veterans of the field. Here is where the online investment banking solutions come to the rescue of such people. The Saxo Bank is one such example. It is a Danish online investment bank which was founded in 1992 by Lars Seier Christensen, Kim Fournais and Marc Hauschildt, and later renamed to the present one. The primary purpose of the bank is to offer trading in the 'capital markets' through a forum run online. Apart from dealing in finances directly, it goes a step further. At present the Saxo Bank offers services in foreign exchange, 6000+ CFDs, stocks, ETFs and other derivatives. The Saxo Bank has its headquarters in the city of Copenhagen in Denmark, with numerous other branches strategically located in other parts of the world. It operates with an ease in all those areas on the world map which adhere to its basic rules and regulations of operation. Any bank operates with the opening up of accounts in its branch(es). Same is the case with the Saxo Bank too. Pertaining to the requirements of the clients, the bank offers three basic types of accounts are available- the Saxo Web Trader which deals with all the transactions over the internet, the Saxo Trader, and the Saxo Mobile Trader which has additional features assigned to it so that the clients are able to access their account from their cell phones ensuring mobility. Additionally, there is also a Saxo Mini Trader which is helpful in providing all the worldwide currency information in a compact and easy-to-read and access form. The well-knit technologies make this bank and its features praise-worthy. Yet, no system is fool-proof, and with extra caution and care, the investors must think of investing their precious assets in the foreign exchange markets. Welcome to a whole new world of investing! As a newcomer in the trading business, much less in the online trading business, learn to calm down for a moment and not just dive into the middle of trading with your gut feel as armor. -Be careful though since you have to make sure that the online account is backed up or supported by a reputable financial institution. -You could try those free software applications found in the internet. -They offer speed, 24/7 customer support and of course, all the analysis and signals that you will need. Even though you've landed yourself with the best to support you with your quest towards greater profit, are you adept with the common jargons being used by the traders? Don't be left out in the circle since knowledge of the trading business is what gives you an edge. Bull and Bear markets don't talk about the sale of animals but the status of a country's economy. A country with a bull market means they're very much bursting at the seams with good employment rates, their currencies are very strong and foreign investments just keep on pouring in. The Bear market is it's opposite. You see, the perfect example is what the global environment is at now - a plethora of unemployment, currencies seem to be falling down like shooting stars and foreign investments are quite shy and minimal. Just like what is happening to the United States of America as well as other countries. They are under recession and well, sometimes, this is the best time to buy or trade since shares of stocks are going down. Best learn the fundamentals before you go to online trading. Since you are indeed a beginner, you may find it so appealing and you just can't wait to load your wallet with enormous sums of money. 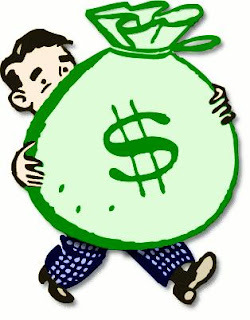 Take time to find your way and surely, your wallet will rejoice from the loads of Benjamins instead of those Lincolns. Do not be frustrated with the word Loss since you've got to win some and loose some in order to find out what strategies work best for you. There is no standard rule in this game of odds. Be persistent and determined. Do not loose hope. On your spare time, read reviews that are made available in the internet. There you can also gain some insights from various newcomer and seasoned trade investors as well. They're not that selfish in sharing some notes since once you consider them your mentors, they will feel elated all the more as a source of inspiration. It may sound obvious but a real time track record of profits. The bulk of advice over 90% is not worth the money and you can get better advice on the net for free. Most vendors simply make up track records and produce a hypothetical track record that is done you guessed it in hindsight – Knowing the closing prices! Well that’s hard. You will also get testimonials but these are normally made up friends or traders who had a lucky trade. If you ask for the real time track record you know the vendor has had success himself and while this doesn’t mean you will win it at least shows they have confidence to trade their own system. From banks and brokers and a lot of it is very good and you can get ideas – You shouldn’t follow it blindly and you should always compare it with your analysis but for ideas its great place top start. While a lot of the vendors who sell advice will give you a system it is normally of little use as it doesn’t have a real time track record and you should ignore it - all you need is on the net and it’s free. 3. What you want to do is to trade against support and resistance and you need to get the odds in your favour, so you need some momentum indicators to help you. Go to a good free chart service such as futuresource.com and learn about stochastic and the Relative strength Index and how to use them. You can then trade support and resistance and use these indicators to time entry. The above will give you a perfectly robust system you can apply for profits. All the information is free and to help you we have written numerous articles on building forex trading systems so look them up. 1. Market Wizards by Jack Schwager that interviews some of the top traders of all time. These are traders who don’t just talk the talk they have walked the walk and made millions. 2. Also get “Way of the turtle” by Curtis Faith – He learned to trade in just 14 days in a famous experiment devised by legendary trader Richard Dennis to prove that anyone could learn to trade. These traders known as the turtles went on to become some of the most successful traders of all time, all learned to trade in just 14 days and all had no previous trading experience. Curtis Faith made $30 million and was the most successful turtle of all and this is a great book for anyone wanting to know what you need to do to become a successful trader. So your system you can get free on the net and the two books above will give you a good introduction to the mindset of the successful trader. 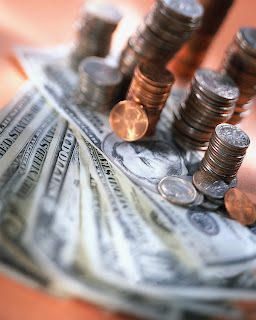 If you want to increase your profit potential and achieve currency trading success then the simple tips will help you. Some are at normal investment wisdom, but as the bulk of traders don’t ever achieve long term currency success, so that’s Good! 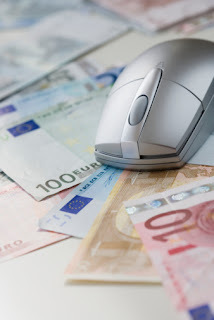 Here are your 7 tips for greater currency trading success and bigger profits. Currency trends mirror the health of the economy generally and economic trends last years and these are reflected in currency trends. Forget day trading, it’s the equivalent to flipping a coin. You can’t predict such short term movements so don’t try. When flipping a coin the odds are even, but keep in mind in currency trading the fact that you have to place a stop and you have to overcome both slippage and commission, means you will take a thumping loss. Day trading won’t lead to currency trading success for you, but will simply make your broker rich. Many traders want to be in the market all the time and act like gamblers trading for the sake of trading if you DON’T want currency trading success do this! Only trade this moves with the best profit potential. Keep in mind you may need to be patient – You can’t hurry the market, so don’t try. If you don’t risk anything you won’t make anything. Diversification is the enemy of making really big gains. To make really big profits you have to have the courage to take calculated risks on the really good trades and go for maximum profits. This is the only way you will make really big gains - Period. There is no correlation between how complicated a system is and how much profit it will make. On the contrary, simple systems are more robust than complicated ones and will cope better in the face of brutal market conditions. A good example of a simple system is a breakout system, which anyone can understand. You must always make sure you understand the system’s logic. If you do, you will have the discipline to follow it through inevitable losing periods, so never trade a system where the logic is not revealed. A great method to learn is the Gann method of trading, its different, it’s revealed and it made him $55 million. In conclusion, get a system you understand, that’s simple and that has been proven to be successful. If you win at currency trading you will often be trading in the opposite direction to the majority so don’t discuss your trades with other people, they will put you off and don’t give opinions either. Independent thought, is one of the keys to currency trading success so don’t get distracted. Stay with the major currencies: US $, British Pound, Euro Swiss Franc and Japanese yen. These all have good liquidity and good trends. Don’t trade minor currencies that can feature erratic moves or currencies that don’t have a long history. The majors will give you plenty of opportunities so use them. Above are six general rules for currency trading success and bigger profits. In part 2 of this article we will look at some others that will help you achieve bigger profit potential from your currency trading. Good luck! When looking for forex trading tips there is a lot of information out there to consider and it can be difficult to navigate the waters and find someone you can really trust. With this in mind, this article has gathered some of the best forex trading tips to share with you in an easy to understand way for the best results. One of the biggest things to remember is that knowledge truly is power. The more you know about forex trading, the more in control of your trading you can be. When you first start trading online, take the time to read through everything and get a real grasp on how the system works and when is the most beneficial times to trade and how. 1. You also want to gauge your risk level, if you are a trader who sets tight orders, works with small increments, or puts inflexible stop orders on your trading then you are not going to get the full range of benefits from forex trading. You need to be able to relax a little and let the market do what it will before you freak out and change everything. The best times to trade in forex trading is during its most volatile times, not the safe quiet times. This takes a little grit on the part of the trader, but is crucial to make the real profit margins you are looking for instead of nickel and dime profits. 2. Another great benefit of trading forex is the small margins and while an experienced trader can use this to their advantage since they are able to trade amounts larger than their deposits total, a novice can easily get carried away and get in trouble using this tactic. A good rule of thumb is to increase your leverage as your experience increases. 3. Never trade without some sort of strategy. You aren't expected to be able to predict the future, no one can, nor know what is going to happen with each trade you make, but you should have a goal in mind and a plan of action that can reasonably get you to that goal. Also avoid trading during off-peak hours, this may seem like the best thing to do, but it's not and unless you are extremely experienced with forex trading it won't work to your benefit. In the short run, the biggest forex trading tip there is to be successful is to know what you are doing. Take the time to learn how forex trading works and if you are insecure in your trading, get the help of a broker or at least talk with independent traders who have been using forex for awhile. 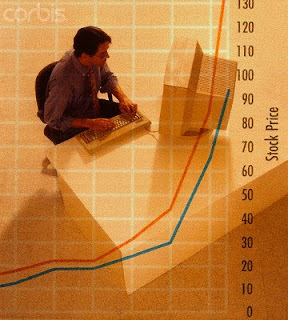 Then develop a strategy and follow the simple tactics above to learn how to successfully take part in forex trading.